Slocombe, George. The White Plumed Henry. King of France. New York. Cosmopolitan. 1931. Octavo. Hard cover. First edition. Very good copy. Light fading to covers. Slosson, Elvenia. Pioneer American Gardening. New York. Coward-McCann. 1951. 306 pps. Octavo. Hardcover. First edition. Illustrated. Near fine copy in lightly edge chipped and faded dust jacket (in mylar). Smaus, Jewel Spangler. Mary Baker Eddy. The Golden Days. Boston. Christian Science Pub. 1966. 193 pps. Octavo. Hardcover. First edition. Illustrated. Fine copy in very good (light shelf wear) dust jacket (in mylar). Smelser, Ronald M. The Sudeten Problem. 1938-1938. Volkstumspolitik and the Formulation of Nazi Foreign Policy. Middletown. Wesleyan University Press. 1975. 324 pps. Octavo. Hardcover. First edition. Fine copy in near fine dust jacket (in mylar). Smibert, John. 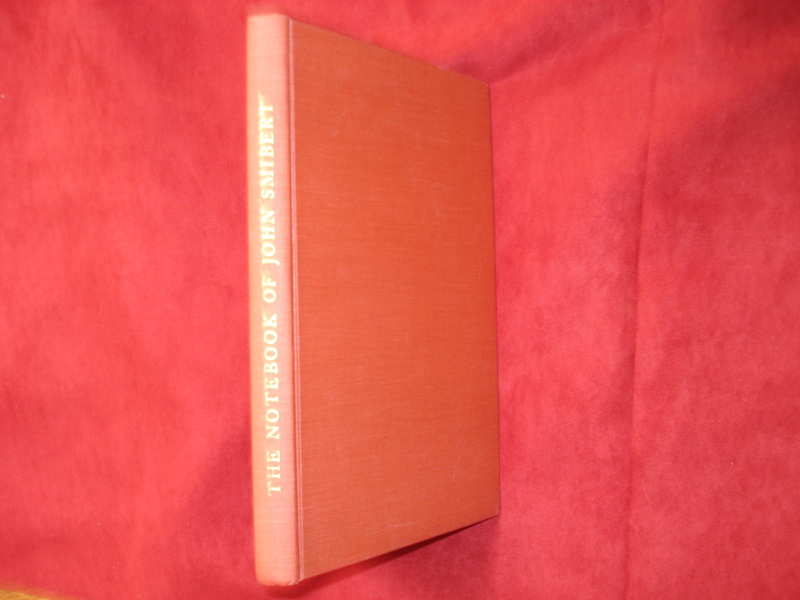 The Notebook of John Smibert. With Essays by Sir David Evans, John Kerslake, and Andrew Oliver. And With Notes Relating to Smibert's American Portraits by Andrew Oliver. Photo available. Boston. Massachusetts Historical Society. 1969. Octavo. Hard cover. First edition. Illustrated. Fine copy. Smith, A. Robert. In the Presence of Angels. Virginia Beach. A.R.E. 1994. Octavo. Soft cover. First edition. Fine copy (owner blind stamp). Smith, A. Robert. The Lost Memoirs of Edgar Cayce. Life as a Seer. Virginia Beach. A.R.E. 1997. Octavo. Soft cover. First edition. Fine copy (owner blind stamp). Smith, Aaron. The Atrocities of the Pirates. London. Prion. 1997. Octavo. Soft cover. Reprint. Illustrated. Fine copy (owner blind stamp). Smith, Adam & Laurence Dickey. An Inquiry into the Nature and Causes of the Wealth of Nations. Abridged, with Commentary and Notes, by Laurence Dickey. Photo available. Indianapolis. Hackett Pub. 1993. 263 pps. Octavo. Hardcover. First edition. Full number line. Important reference work. Fine copy. Smith, Art. Back to the Table. The Reunion of Food and Family. Photo available. New York. Hyperion. 2001. Octavo. Hard cover. First edition. Illustrated in black, white and color. Fine copy in fine dust jacket (in mylar). Smith, Bradley. The Horse in the West. New York. World. 1969. 4to. Hard cover. First edition. Illustrated in black, white and color. Fine copy. Smith, Clifford. 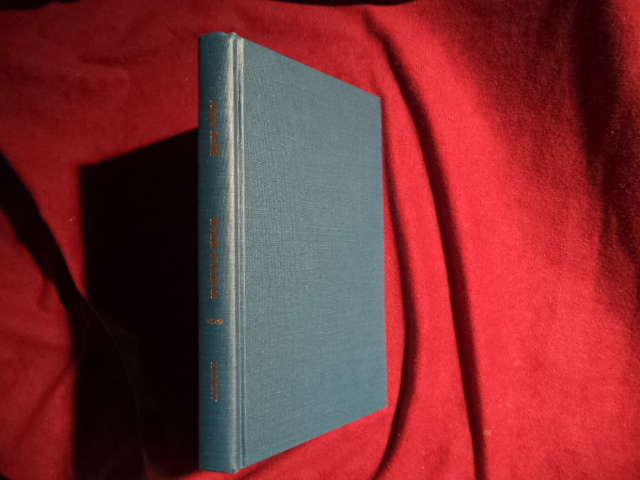 Encyclopedia of German-American Genealogical Research. New York. R.R. Bowker. 1976. 4to. Decorated hard cover. First edition. Fine copy. Smith, Clifford. Historical Sketches from the Life of Mary Baker Eddy. Boston. Christian Science. 1941. Octavo. Hard cover. Illustrated. Fine copy. Smith, Curt. The Storytellers. From Mel Allen to Bob Costas: Sixty Years of Baseball Tales from the Broadcast Booth. New York. Macmillan. 1995. 278 pps. Octavo. Soft cover. Reprint. Illustrated. Fine copy. Smith, David. Choosing Your Child's School. Grand Rapids. Zondervan. 1991. Octavo. Soft cover. First edition. Fine copy. Smith, Edgar. Brief Against Death. Written by Edgar Smith in His Eleventh Year on Death Row. New York. Alfred A. Knopf. 1968. Octavo. Hardcover. First edition. Illustrated. Fine copy in near fine (light shelf wear) dust jacket (in mylar). Smith, F. LaGard. ACLU. The Devil's Advocate. The Seduction of Civil Liberties in America. Colorado Springs. Marcon. 1996. Octavo. Hard cover. First edition. Fine copy in fine dust jacket (in mylar). 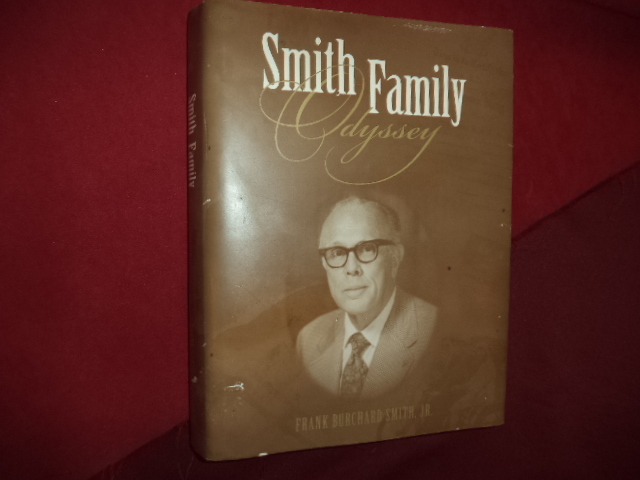 Smith, Frank Burchard, Jr. Smith Family Odyssey. Photo available. Oakland. Solstice Press. 2003. 379 pps. 4to. Hardcover. First edition. Illustrated. Important reference work. Fine copy in near fine (very light shelf wear) dust jacket (in mylar). Smith, Geoffrey S. To Save a Nation. American Countersubversives, the New Deal, and the Coming of World War II. New York. Basic Books. 1973. 244 pps. Octavo. Hardcover. First edition. Fine copy in fine dust jacket (in mylar). 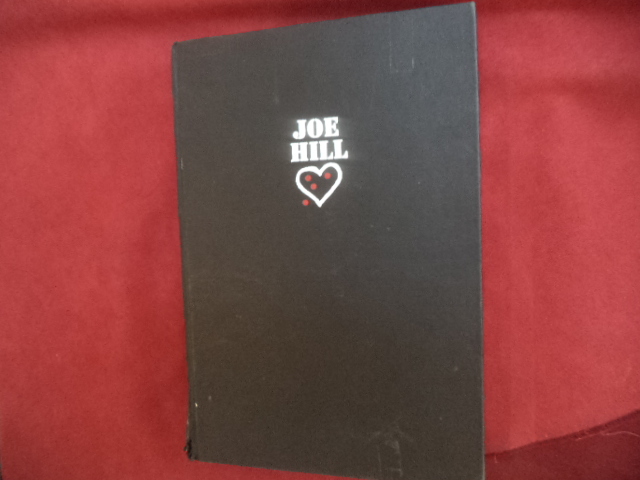 Smith, Gibbs M. Joe Hill. Photo available. Salt Lake City. University of Utah Press. 1969. 286 pps. 4to. Decorated hard cover. First edition. Illustrated. Important reference work. Fine copy. Smith, H. Allen & Leo Hershfield. The Rebel Yell. Photo available. Garden City. Doubleday. 1954. Octavo. Hard cover. First edition. Illustrated by Leo Hershfield. Fine copy in near fine (very light shelf wear) dust jacket (in mylar). Smith, H. Allen. Life in a Putty Knife Factory. Philadelphia. The Blakiston Co. 1945. 218 pps. Octavo. Hardcover. Reprint. Fine copy. Smith, H. Allen. Lost in the Horse Latitudes. Garden City. Doubleday and Co. 1944. 224 pps. Octavo. Hardcover. Reprint. Illustrated by Leo Hershfield. Fine copy in near fine (light shelf wear) dust jacket (in mylar). 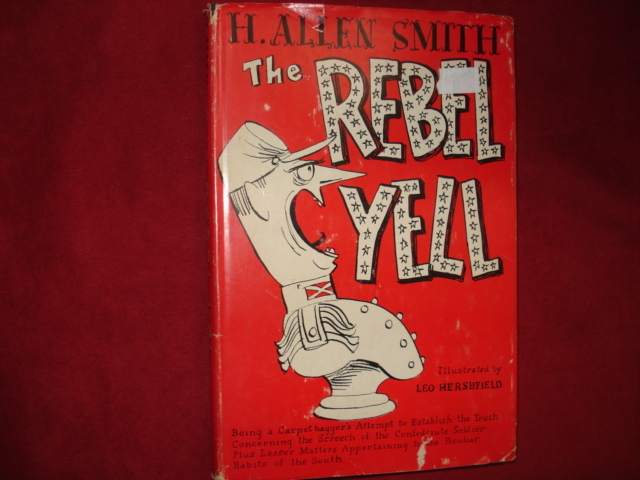 Smith, H. Allen. Lost in the Horse Latitudes. Photo available. Garden City. Doubleday and Co. 1944. 224 pps. Octavo. Hardcover. First edition. Illustrated by Leo Hershfield. Fine copy in near fine (very light shelf wear) dust jacket (in mylar). Smith, H. Allen. Low Man on the Totem Pole. Garden City. Doubleday and Co. 1945. 205 pps. Octavo. Hardcover. Reprint. Fine copy in near fine (light shelf wear) dust jacket (in mylar).